Clay Clement, owner of Studio City Tattoo, Los Angeles’ favorite destination for skin art, has embarked on a new adventure. Clement’s award-winning tattoo shop is already known for celebrity clients highlighted by Pat Benatar, Miley and Billy Ray Cyrus, Will I am (Black Eyed Peas), Kirstie Alley (Dancing with the Stars), Cher, Tommy Lee, Slash and Lenny Kravitz to mention a few. 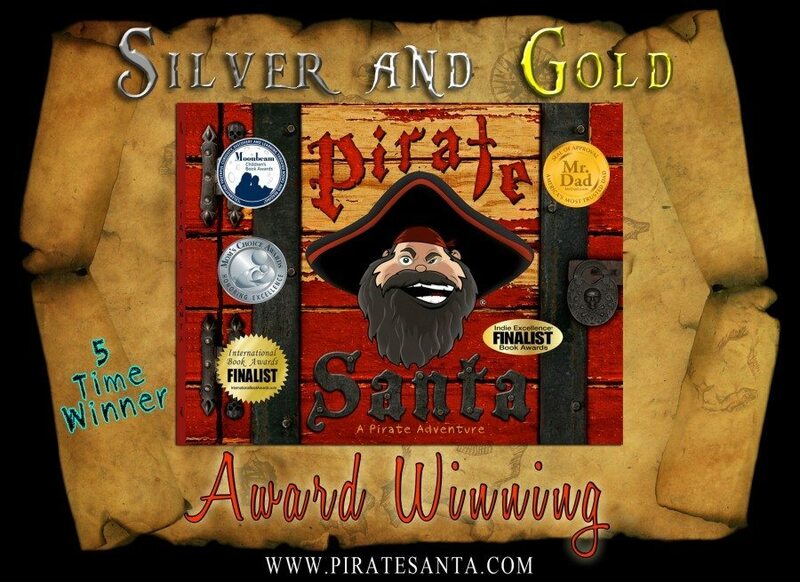 But today, Studio City’s own “gentle giant” returns to the spotlight as an author of a children’s book inspired by his desire to dedicate a “pirate themed” Christmas tale to his two children. 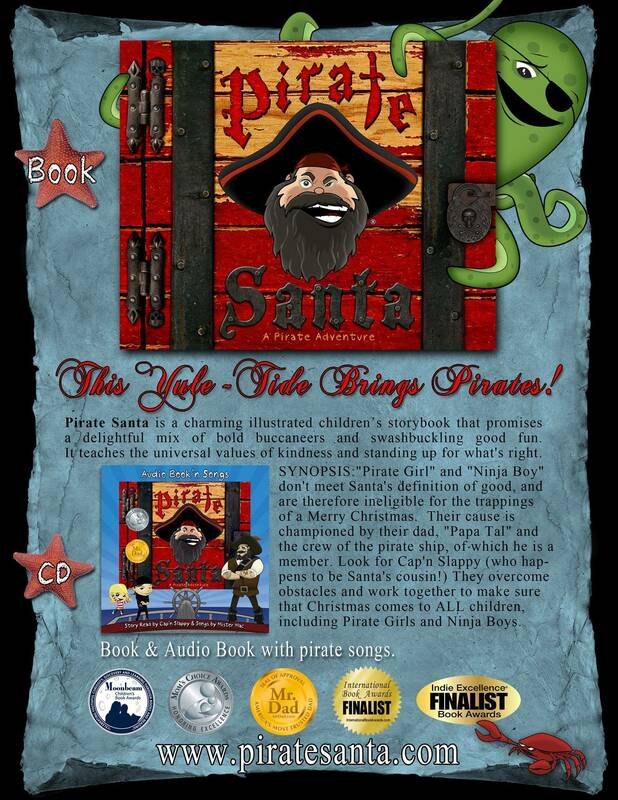 Clement’s “Pirate Santa” is a well executed visual fable that succeeds by incorporating the best elements of “Treasure Island”, Dr. Seuss and “Peter Pan.” For this labor of love, Clement wisely enlisted the help of artist, Jun Alvarado and author, Mark Summers to help flesh out the story and write the poetry. With the help of their friends, Clement and Summers have crafted an endearing lyrical narrative about the struggle for understanding and respect between children of all ages and cultures. Story: “Pirate Girl” and” Ninja Boy” don’t meet Santa’s narrow definition of “nice” and are, therefore, ineligible for the trappings of a Merry Christmas. 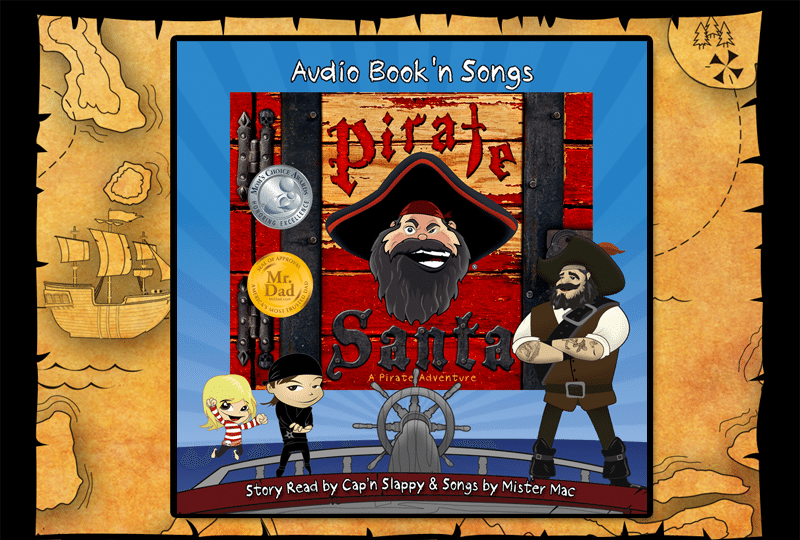 Their plight is championed by their dad, “Papa Tal” and the crew of the pirate ship of which he is a member – including the irrepressible captain, “Cap’n Slappy.” (Who happens to be Santa’s pirate cousin.) 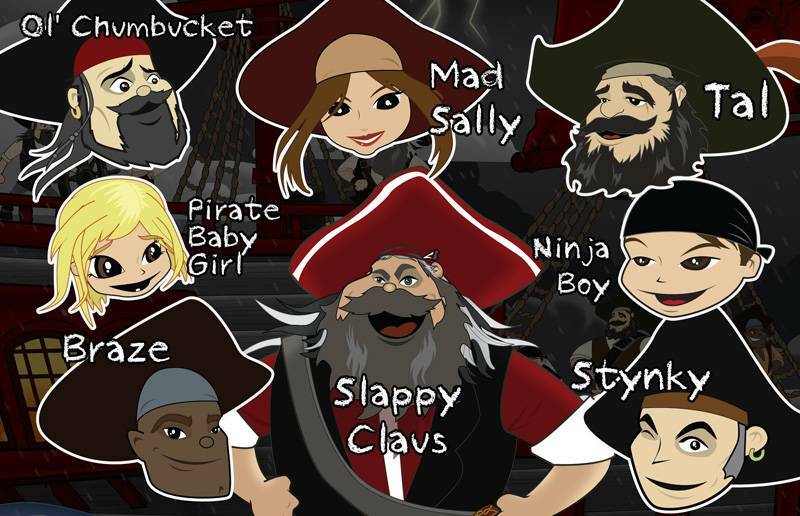 They overcome obstacles and work together to makes sure that Christmas comes to ALL the children – including Pirate Girls and Ninja Boys. And along the way, they get help from some unexpected allies. About Studio City Tattoo: Winner of Citysearch best of Los Angeles 5 times in a row 2005-2010, winner of Fox LA’s best of LA, Hotlist and many more. Studio City Tattoo has been tattooing stars in Hollywood for 20 years. Many of Hollywood’s top names have come through our doors , Pat Benatar, Miley & Billy Ray Cyrus, Will I am, Kirstie Alley, Cher, Tommy Lee, Slash and Lenny Kravits to mention a few. Meet our cast of characters!